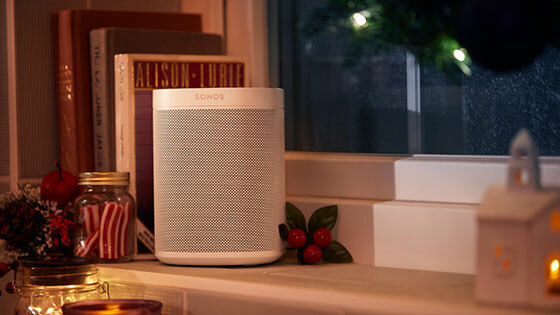 Smart Sound fills your home with music. Start with one speaker, then add more for each room. 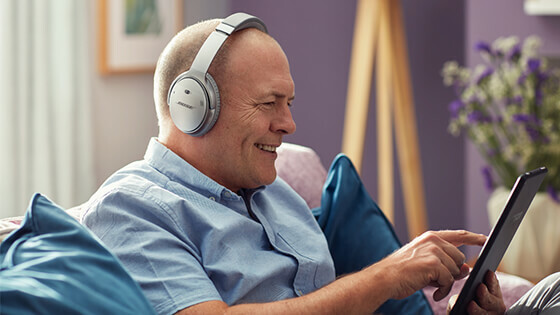 Use your home WiFi network to stream songs from your devices, online services or compatible CD and vinyl players to your speakers. 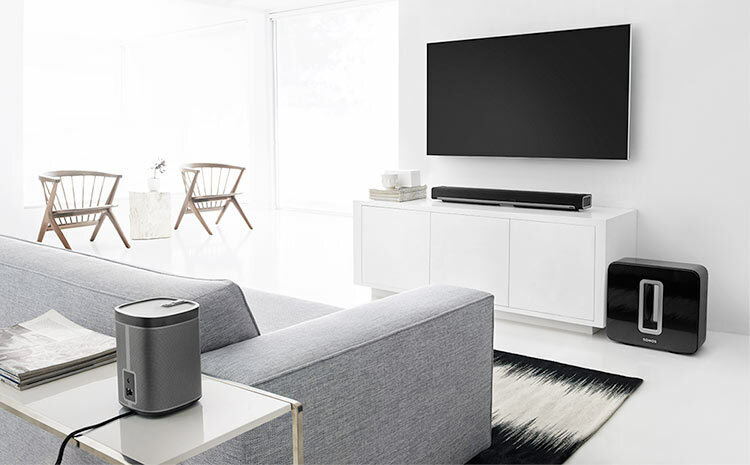 Pair a sound bar with Smart Sound speakers and a wireless subwoofer for virtual surround sound. 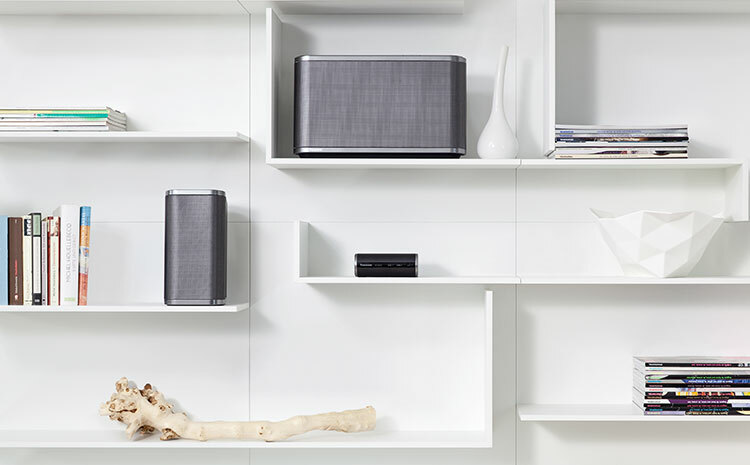 A Smart Sound system can be your radio in the kitchen, Hi-Fi in the bedroom and home cinema system in the lounge. Set the tone at parties by playing the same song everywhere, or give everyone in the household a personal soundtrack. Use compatible speakers, sound bars and wireless subwoofers from the same brand to build your ideal Smart Sound system. 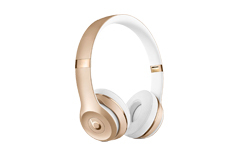 Experience spectacular cinema-style sound that flows above and around you. 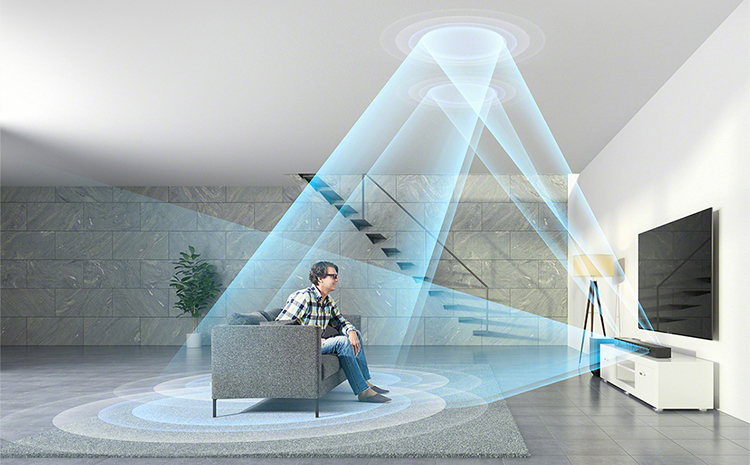 Dolby Atmos creates a 3D audio field in your living room, positioning each sound in its own place to create an expansive sense of space. You’ll feel thoroughly immersed in the action with stunningly realistic speech, music, and sound effects. Experience a unique thrill as aircraft roar overhead, cars rush past and actors feel like they’re speaking right in front of you. 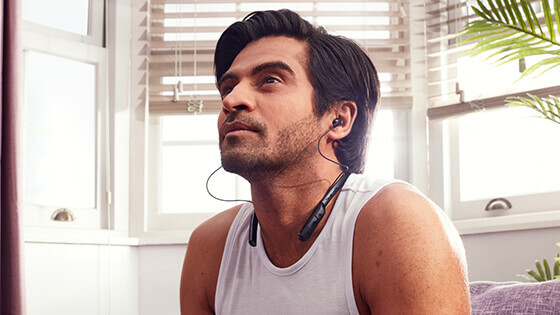 Dolby Atmos sound is the ideal complement to your 4K Ultra HD TV and Blu-ray player. Enjoying your movies, games and TV programmes has never been so versatile. From great-sounding, compact sound bars and Soundstages to full multi-channel home cinema systems, there’s an option to suit your sound preferences and the space you have. Save space while beefing up the sound you get from your TV with a sound bar – some models include a subwoofer for enhanced bass response. 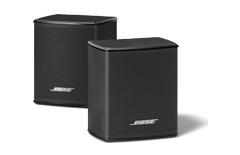 A Soundstage packs full-range cinema-style sound into a compact design that fits under or even supports your TV. If you want an audio system that delivers power and precision control, a multi-speaker home theatre kit might be for you. Look for wireless sound bars, Soundstages and home cinema systems, which can be more easily positioned, reduce cabling clutter and can even receive music streamed from a Bluetooth-enabled device. Advanced models can offer smart features like full web browsing, social media and apps. More home cinema products now incorporate Multi-Room technology, allowing you to expand your audio enjoyment throughout your home. 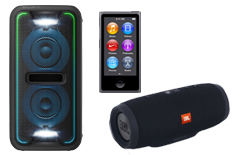 Which portable wireless speaker should I buy? 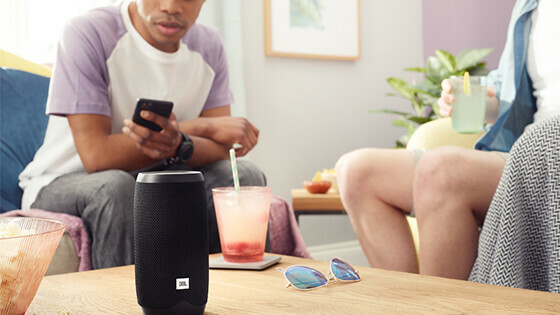 Bring a portable speaker on your adventures and play your favourite soundtracks wherever, whenever. Here are some of our favourites. Which smart sound multi-room system should I buy?